Buttressing his point, Senator Abu said Nigeria is lagging behind because at a meeting held in Argentina in March, 2009 by World Organisation for Animal Health and its members including Nigeria, it was resolved that member countries should aggressively implement Animal Identification and Management Systems as per the terrestrial Animal Health Code for fairer and broader international trade of animals and animal products. 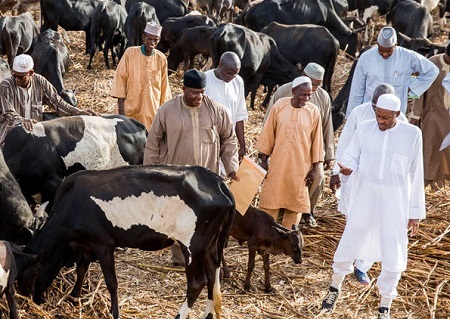 Equally, in April 2015, Sub-Saharan African Countries, including Nigeria adopted a declaration in Pretoria, South Africa, on animal identification and recording; a move that was expected to improve food security, animal genetics and better flock management as well as manage animal health and disease control. This adoption in Pretoria declaration on animal identification and recording systems for traceability and livestock development, according to Senator Abu Ibrahim, affirmed their commitment to identification of animals and recording of their movement and health through measures such as surveillance, early detection and notification of disease outbreaks, rapid response, zoning and compartmentalisation is totally absent in the country. Citing the existence of this law even in African countries, Senator Abu Ibrahim said the law is notably in Botswana, Kenya, Tanzania, Namibia, Ethiopia, Somalia, Uganda and Djibouti, whereas Nigeria as the giant of Africa is yet to enforce this law by establishing such a bureau.